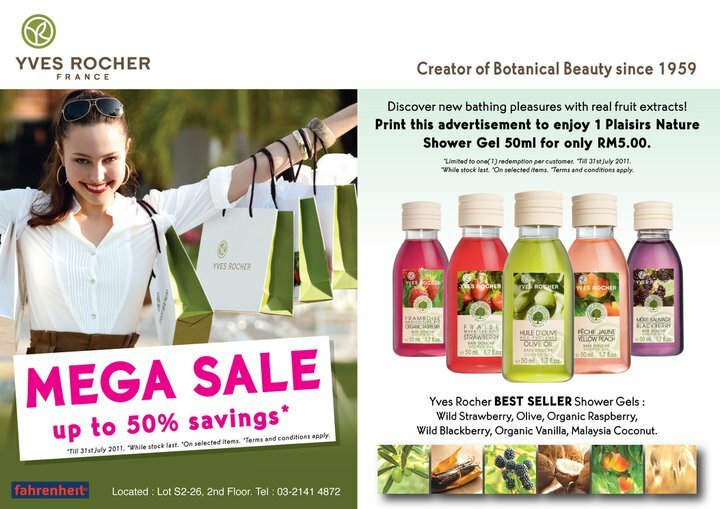 "How about a Yves Rocher Plaisirs Nature Shower Gel at RM5?" Present this flyer and get Yves Rocher Plaisirs Nature Shower Gel at RM5.00 only! Valid while stocks last till 31 July 2011. Find out what you never knew about the Proton Inspira, and get rewarded with RM50 petrol card! What tactic can Malaysia use to beat Chelsea on the 21st of July? Get Free Passes to the MTV WORLD STAGE! Tom Hanks with Julia Robert, really?